Christmas day is almost here. I have run out of time! There are so many things going on all at once that it is everything I can do just to keep up with them. Tonight we went caroling with some friends and our families. Afterwords we enjoyed hot cocoa, donuts and spiced cider. 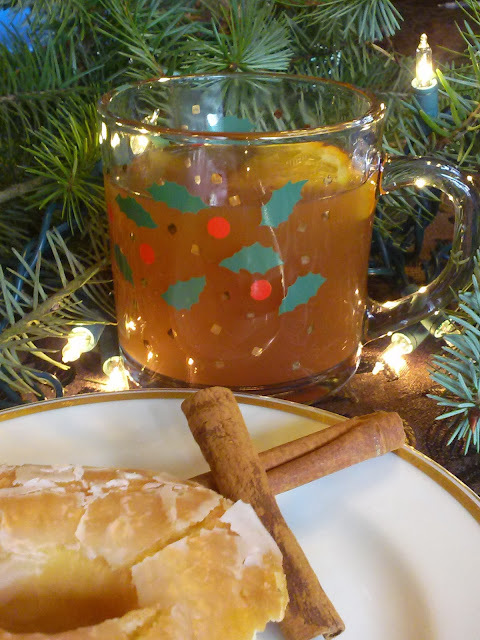 I thought I'd share with you my spiced cider recipe that I make every year. It's a hit every time. Combine ing. in crock pot and set to 4 hour setting. Serve hot using ladle. Seriously that easy. I am ready for a glass of that RIGHT NOW! Looks so good. I love hot cider! I'm dropping by from Sunday Showcase to wish you a Merry Christmas! A must try! I have to try that out. 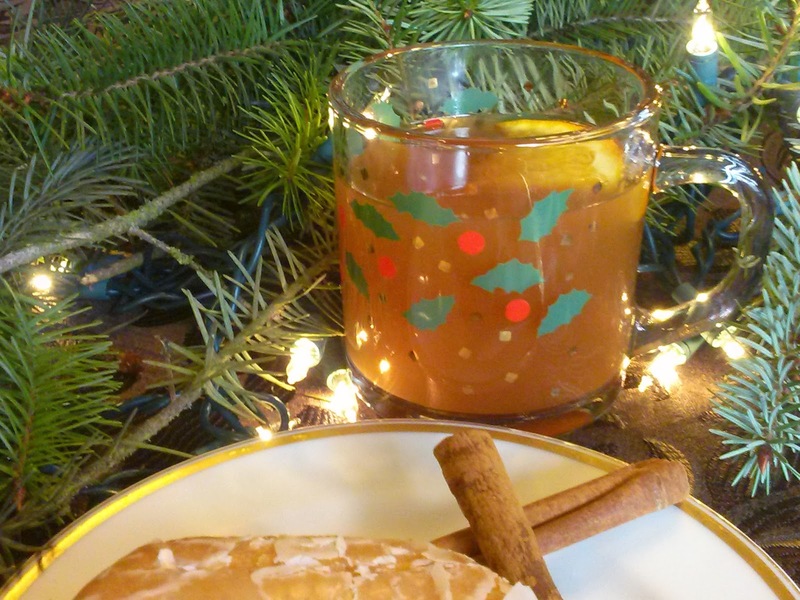 The weather will be so cold for Christmas it will be great to offer a guest a warm mug of this cider. Wishing you and your family a very Merry Christmas!!! !